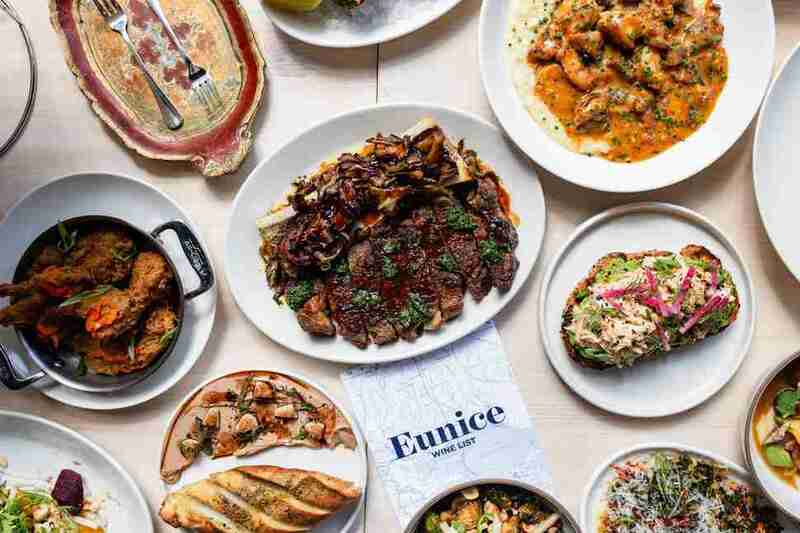 The restaurant scene in Houston is so hot right now, with fresh-faced eateries popping up in every nook and cranny of the city. (Could Katy be the new Asiatown? More on that later.) This year’s new restaurants brought a mix of familiar faces and welcomed out-of-towners, cranking out unexpected delights from food court BBQ to neo-soul food. There’s a sushi spot that’s making the suburbs look cool, an Israeli steakhouse with a chandelier-lit dry-aging room, and the resurgence of a gone-too-soon steakhouse. Astros failing to make the World Series aside, 2018 sure was a damn good year for Houston. Our own Senior Food Editor Khushbu Shah likened this EaDo hotspot to a basement house party (albeit a “massively upgraded” one), naming it one of the 13 Best New Restaurants of 2018 in the entire country. Here, instead of couches, you’ll find “bar seats where strangers raucously laugh and mingle,” and instead of bowls of stale Bugles, you’ll find comfort foods you never knew you needed. That means crispy rabbit wings doused in a briny brown butter sauce, perfect little lamb dumplings served in lamb jus, and a savory-sweet parmesan cheesecake with black pepper honey. Do yourself a favor and share at least one order (or more like three) of the house favorite Nancy Cakes, hot and plump miniature pancakes on which you’ll happily dollop whipped butter and smoked trout roe. Start your meal with the beetroot appetizer. It’ll arrive at to your table as a bright purple ball begging to be cracked open and spill its fillings, an oozing blend of cheeses, pistachio, and créme fraiche. It’s those kind of treasures that you can expect all throughout your dining experience at this New Orleans import, housed in the former Triniti space off South Shepherd. 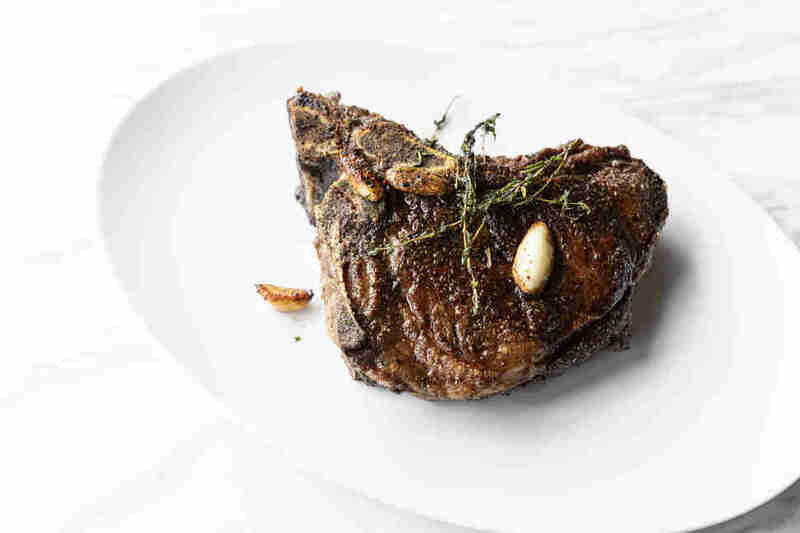 The chic steakhouse veers away from the norm whenever it has the chance, playing on its Middle Eastern heritage via dishes like tahini-kissed Jerusalem cauliflower salad and sweetbreads decorated with beautiful pearls of yogurt. But it’s still a steakhouse first and foremost. Come for quality cuts of beef from prime bone-in ribeye to Japanese A5 Wagyu, each rack dry-aged in a show-stopping meat locker and upped with flames, jammy bone marrow, and simple sea salt. Chris Shepherd’s beloved Underbelly may have closed its doors, but this 80-seater is a hot new take. Opening in May of 2018, the smaller space still offers a glimpse into the story of Houston food (and its impressive diversity), with former Momofuku Ssäm Bar chef Nick Wong manning the kitchen. Spicy pork laap wraps, smoked boudin siu mai, and Vietnamese short rib fajitas help you take a trip around the globe without ever leaving Mutt City. 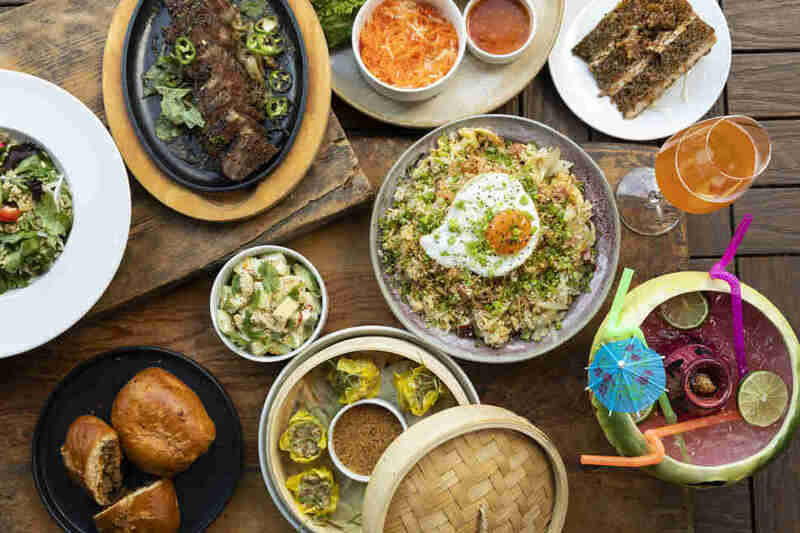 Don’t miss Sunday’s dim sum-style brunch and when you’re done dining, take Shepherd’s suggestion and use UB as a jump-off point into Houston’s underbelly, paying a future visit to the local restaurants listed on the leaflet you get with your check. chef Austin Simmons (Cureight) at the helm. It’s another place for Simmons to show off his classic technique and penchant for unique flavors, with enlightened dishes including a highly-rated Korean crab poached in brown butter, new-school lobster Thermidor, and gremolata-kissed veal osso bucco with saffron grits. 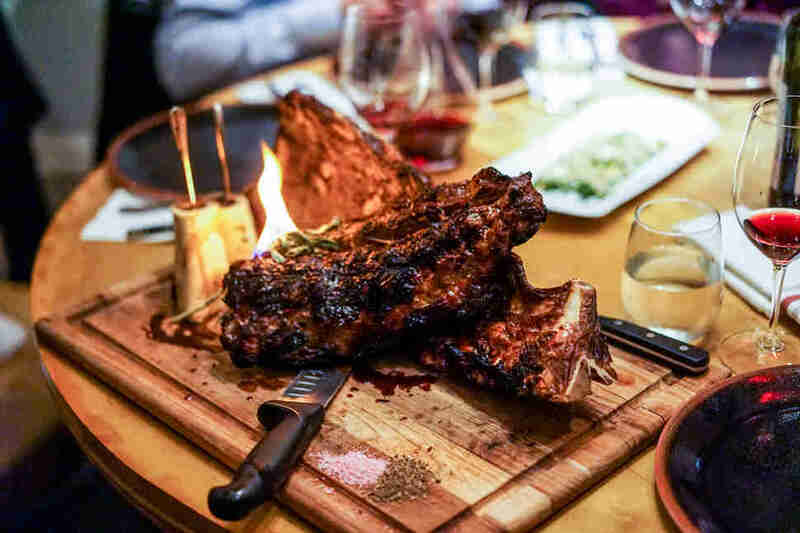 Beef eaters can go all in on an over-the-top steak board for four, rocking five cuts of meat from Texas Certified Akaushi to Japanese Black Wagyu. Or visit for lunch and order a double-patty Akaushi Wagyu burger with gooey bacon jam, American cheese, and iceberg lettuce on a toasted English muffin. Husband and wife team Patrick Feges and Erin Smith are no strangers to the Houston restaurant scene. Combined, they’ve had stints at top eateries from NYC’s Per Se to local joints including Main Kitchen, Underbelly, and Killen’s Barbecue. After purchasing a smoking rig and hosting pop-ups around the city, the duo opened this Greenway Plaza spot in March of 2018. 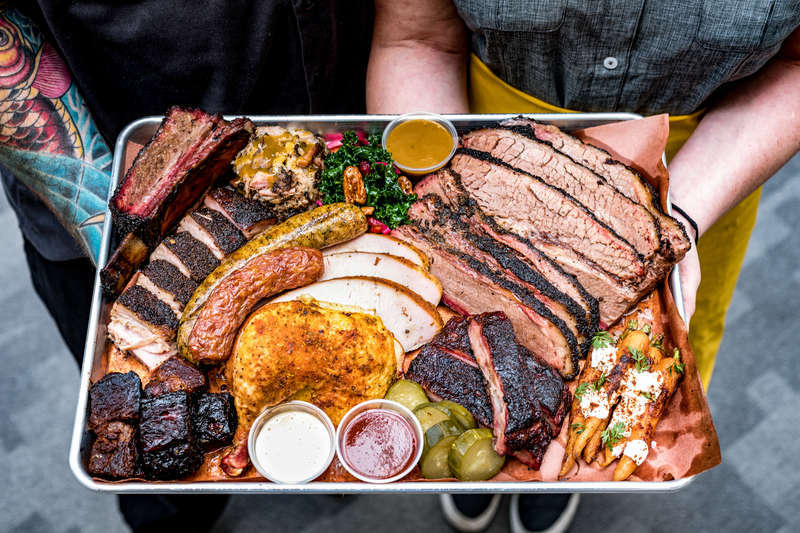 Now you can catch them serving world-class barbecue during weekday-only breakfast and lunch hours, dishing out staples from ribs, brisket, and house-made sausage to house specialties like pig wings and beef belly burnt ends. Balance the hefty meats with Moroccan-spiced carrots, elote corn salad, and braised collards. Chef Jonny Rhodes and his wife Chandra don’t just want to feed you fantastic food, they want that food to guide you on a journey through history. 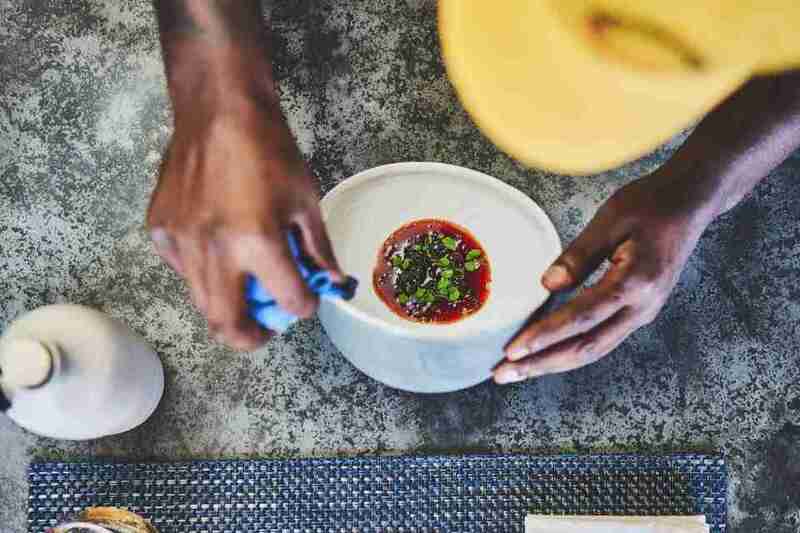 At this new wave restaurant, Rhodes creates thought-provoking neo-soul food, exploring the roots of the African American experience and a food movement that flourished even in dark times of slavery and oppression. 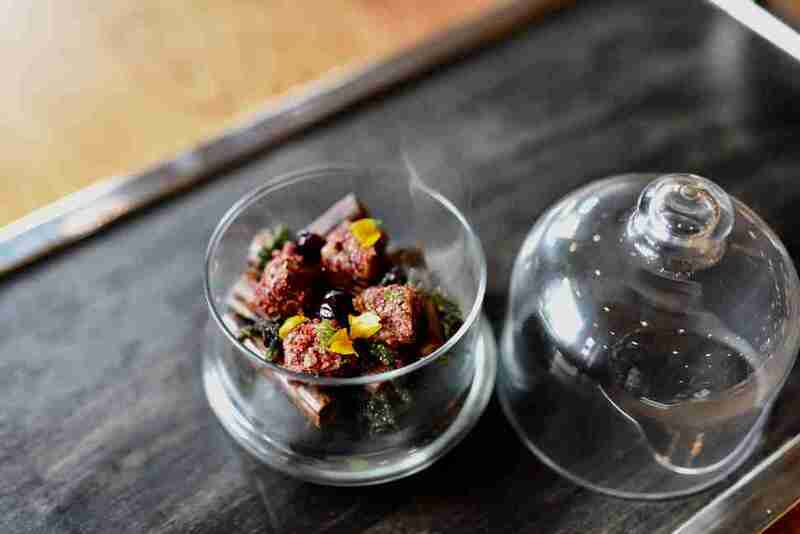 His guided tasting is offered in two seatings at a 13-top communal table, with herbivore, omnivore, and carnivore menus, and ever-changing dishes from an emulsion of candied yams with smoked pecan butter to mollusk and wild boar gumbo. Make sure to dress up for the occasion. Chef Chris Shepherd may have said farewell to his One Fifth Steak concept in July of 2017, but that’s only because he pledged to rotate that restaurant’s concept once a year for the length of its 5-year lease. When the beefy, temporary run proved to be such a big hit with locals, Shepherd knew his steaks were due for a comeback. Fast forward to this latest concept, named after his parents and set in the old Underbelly space. Here, Shepherd and team (which includes executive sous chef Greg Peters, sous chef Matthew Coburn, and pastry director Victoria Dearmond) wow with steakhouse classics gone nuclear. 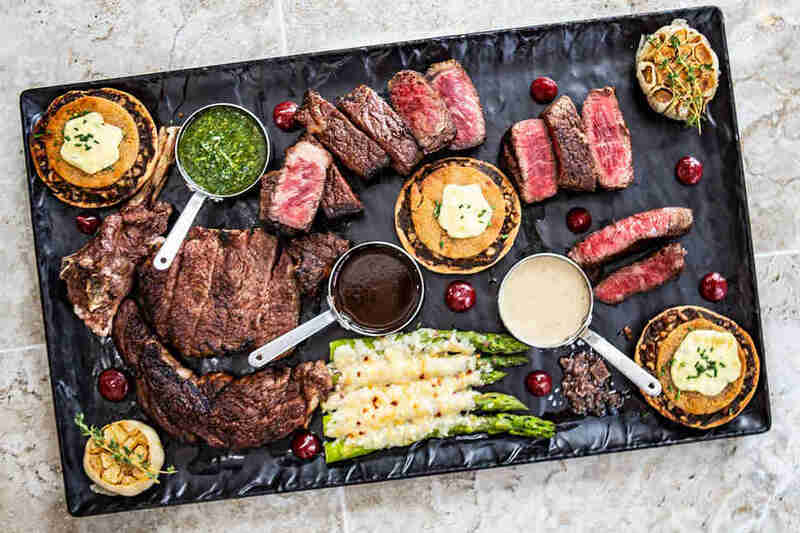 Let the kitchen decide for you with the Baller Board, a bountiful, off-the-menu special where the chefs call it; or choose your own destiny with cuts from the 100-day dry aged long bone ribeye finished in a cast iron to a wet aged, wood-grilled hanger steak that will change the way you feel about hanger steaks. To accompany the meat? Buttery roasted Gulf oysters, crispy pig ear-studded Brussels sprouts, and “Lamburger Helper,” which is exactly what it sounds like but better. Yes, the internationally-acclaimed Nobu also opened this year (and it’s awesome), but hear us out. This Cinco Ranch sushi and Japanese spot -- its name is Japanese for “flying fish” -- feels slightly more special. Maybe that’s because it’s homegrown, or maybe it’s because it serves whimsical stuff like flame-seared foie gras with applewood smoke. Sushi chef Mike Lim has gone solo after helping to open the highly-acclaimed Roka Akor last year, and the resulting restaurant is helping to make the sprawling suburb of Katy an actual dining destination. Lim’s artful omakase experience rivals the best in the city, and his skillset is further shown through dishes from razor-sharp crudos and flights of uni to lavender-smoked Japanese Wagyu. BRG Hospitality group (that’s the restaurateurs behind popular Nola spots like August, Domenica, Shaya, and Luke). Internationally-trained chef Drake Leonards runs the kitchen, offering a brasserie-style Cajun-Creole menu inspired by the flavors of his childhood and changing with the seasons. Dine on hearth-roasted oysters, dirty “duck duck” rice, and Tabasco honey-kissed fried quail & biscuits from its recently launched brunch. 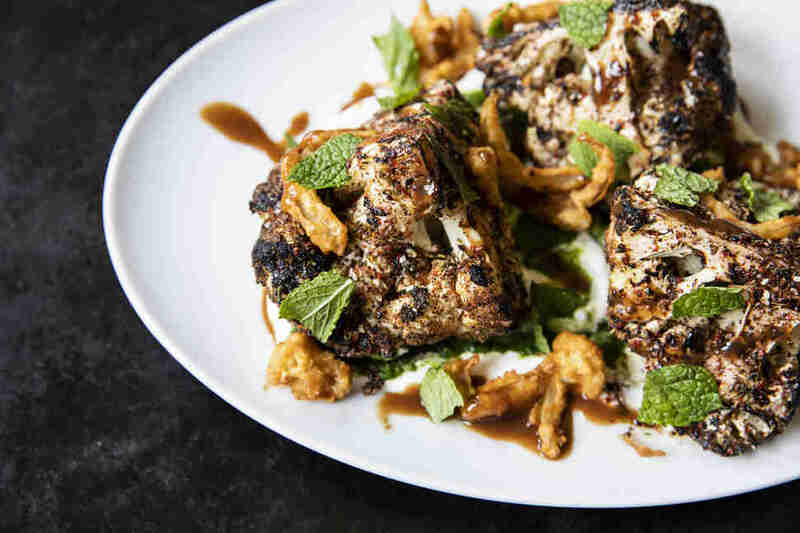 If you’re a fan of Coltivare’s glorious roasted cauliflower, you’ll want to give the cauli at this sister establishment a try. Here, it’s wood-charred, spiced with za’atar, and complemented by green chutney and house yogurt. The restaurant is the cornerstone of a trio of fresh concepts from Agricole Hospitality, with a focus on modern American food with immigrant influences (its name comes from the historic Matagorda Bay town that was once a port of entry for Texas). The key is to share plates so you can take it all in, from crispy duck wings and goat ricotta mushroom toast to wood-grilled Santa Maria steak and a Basque Country-style cheesecake made with Idiazabal cheese. Afterward, continue the party with a drink at sibling cocktail lounge, Miss Carousel. Brooke Viggiano is a Houston-based writer who is totally stoked about all of these openings. Find her dining and wining on IG @brookiefafa or on Twitter @brookeviggiano.